Beaulieu’s Spring Autojumble 2016 returns for its 23rd year on Saturday 21st and Sunday 22nd May. With over 1,000 stands, the Spring Autojumble is the place to buy, sell and swap anything and everything automotive. Classic car enthusiasts can browse spare parts, tools, automobilia, motoring literature and full-size classic car projects. This event offers the perfect chance to find that elusive restoration project part or spot the next classic bargain. Beaulieu Spring Autojumble 2016 – What’s on? Up to 100 classic vehicles of all shapes and sizes will be offered for sale in the Automart. These range from immaculate examples to restoration projects. In the Dealermart, traders will display a wide range of high-quality classics to buy. Practical Classics magazine, will be putting their mechanical know-how to the test with an ambitious car rebuild challenge. The PC team will breathe new life into a decrepit Ford Model T (pictured above). The rebuild will start at the event with an aim to complete the project at Beaulieu’s International Autojumble in September. 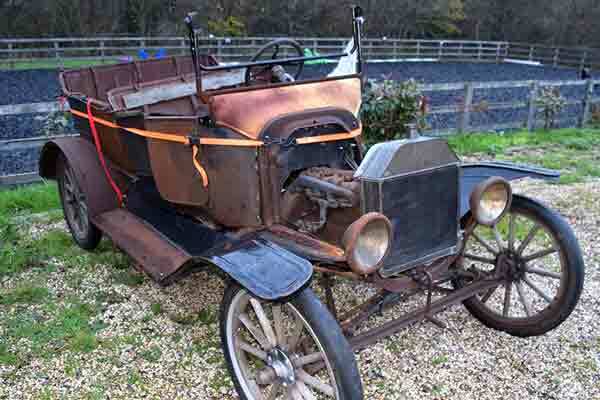 The Ford Model T will be rebuilt using replacement parts sourced from stands at the show. The challenge will really demonstrate the enormous variety of spare parts on offer at Spring Autojumble 2016. 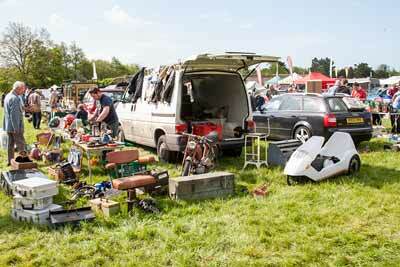 On the Sunday the Beaulieu Land Rover Rummage is the place to buy or sell everything and anything Land Rover. Another Sunday highlight, Trunk Traders, will once again give amateur jumblers the chance to sell their motoring items from their car boots. For an end-of-show bargain, don’t miss the Walkabout Auction on Sunday afternoon, with guest auctioneer, Practical Classics Editor Danny Hopkins. Returning for its fifth year, this favourite gives exhibitors the opportunity to find homes for unsold stock, with no auction fees to pay. Just £1 buys a box for exhibitors to fill up (larger items can go alongside) to be auctioned off before the close of the show. Visitors to the event can also enjoy all of the features of the Beaulieu attraction, included in their admission ticket. The on-the-day admission price, which includes access to all of the Beaulieu attractions, is £10.00 adult and £7.70 child. Two-day tickets, that give admission to the Beaulieu Spring Autojumble 2016 show and the National Motor Museum on both days, are also available. Advance tickets are cheaper still and can be purchased either online at www.beaulieu.co.uk/events or through the ticket hotline, 01590 612888.